William Shakespeare wasn’t giving investment advice in The Merchant of Venice, but the sentiment rings true for many investors: "Gold is not the only precious metal worthy of being used as an investment asset". Silver, platinum, and palladium—together often called the “white metals”—are highly sought-after precious metals as well. 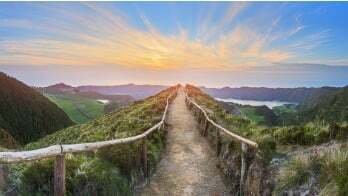 Having these assets in a self-directed IRA, may add tax benefits and increase the size of your retirement savings nest egg. This article looks at each of these unique or "white-metals" and how you might consider to add one or more to your self-directed retirement savings account. Silver is more than jewelry and tableware. As an investment metal, it is second only to gold in popularity. Over the past five years, total global investment in silver exceeded $8 billion. On one hand, silver remains a tangible asset with intrinsic value. For example, in the state of Utah, it remains legal tender. Millions of American Silver Eagle and Canadian Silver Maple Leaf coins are purchased as investments each year. On the other hand, nearly half (45%) of the demand for silver is industrial. The more volatile price of silver, compared to the gold price, is due to its smaller market, lower market liquidity, and the changes in industrial demand. Generally however, the silver price tracks gold, and the gold/silver price ratio is much analyzed by investors and analysts. In September 2018, the price hovered around $14 per troy ounce. 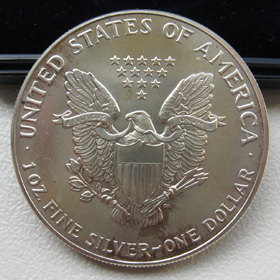 In addition to coins, silver can be bought in the form of bars and rounds. Investors can also gain exposure by buying shares in exchange-traded funds or in companies exploring for and mining silver. You may be familiar with platinum in jewelry that commands higher prices and holds more cachet than gold. Indeed, platinum is rarer than gold; the amount of platinum mined each year (five million troy ounces) is a fraction of the gold (82 million troy ounces) or silver (547 million troy ounces) mined annually in 2017. Because it is valued more for its industrial uses than as a store of value, platinum has a shorter history in financial terms than either gold or silver. (The same is true for palladium.) It also is mined in fewer places; 75% comes from South Africa. This makes the market vulnerable to geopolitical upheaval, such as the recent miners’ strikes and labor unrest in that country. The dynamics of supply and demand have a strong impact on the price of platinum. Restrictions on mining, as noted above, can limit supply. Demand however, especially by the automotive industry, which uses platinum in catalytic converters, is rising. While the price recently reached parity with gold, it has since settled in at around $40 per troy ounce as of 2017. The US Mint issues platinum coins, including the American Platinum Eagle. It also is available from dealers in the form of bars and rounds. Investors also can buy into exchange-traded funds to gain exposure to platinum. Of all the white precious metals, palladium is the most esoteric and the most rare. Most often found as a byproduct of platinum mining, palladium is 15 times more rare than platinum. Most palladium is mined in South Africa (40%) and Russia (44%), with smaller amounts mined in the US and Canada. Palladium is prized as a lower-cost alternative to platinum in manufacturing settings. That low cost may not hold. In recent years, demand has grown by 40%, while supply has not kept pace. Palladium has recently sold for approximately $1,000 an ounce in 2017. Palladium coins are available from the US, Canadian, and Chinese mints, and bullion can be bought as bars or rounds. Investors also can get exposure through exchange-traded funds or by investing in palladium explorers. The growth in demand for all of these precious metals is largely due to their growing importance in industries of all sorts. The automotive, electronic, and solar industries all require silver to make their products. A short list includes electronics, photovoltaics, medical devices, water purification, and food hygiene. According to the Silver Institute, silver is used in unseen ways in everything from washing machines to computers to furniture handles. Platinum and palladium are used to manufacture catalytic converters and tech products ranging from LCD monitors to batteries, electrodes, and hard disk drives. They also show up in dental and medical devices. As well as being diverse, the industries that use silver, platinum, and palladium are all growth industries. This will ensure ongoing demand for these three metals. For example, global automotive manufacturing—especially of low-emission vehicles—has risen approximately 5% so far this year (2018). The room for growth in the automotive market is especially strong in India and China, two nations with a particular interest in managing greenhouse gas emissions. In the US, the emphasis on shale oil exploration—which relies on converters to process shale gas—is another growing market for platinum and palladium. Analysts and financial advisors often stress the importance of diversifying an investment portfolio. In one sense, they mean holding a variety of equities, bonds, real estate, and assets like precious metals. But if you already own precious metals, you have another opportunity to diversify your holdings by owning other precious metals other than gold in your retirement account. The IRS approves certain precious metals as assets in an IRA. This includes specific American Eagle coins, as well as gold, silver, platinum, palladium, bullion that meet certain fineness. However, the IRS requires all precious metals in physical form to be held by a bank or an IRS-approved non-bank trustee. When you open a Precious Metals IRA with The Entrust Group, we serve as the administrator. This means we handle all of the documents needed to establish, fund, and complete transactions in your Precious Metals IRA. The other parties you will work with include the dealer, whom you buy the metals, and the depository, where your metals are stored. Visit our Precious Metals Center today to learn more about saving for retirement with precious metals of all colors and uses. Next Where Are You On Your Journey to Retirement?